I'm not saying the week is off to a slow start but a snail race is also featured in "What's Trending?" today. First of all, happy Shark Week everybody. We begin the week with a story about an American icon even more terrifying than Jaws. 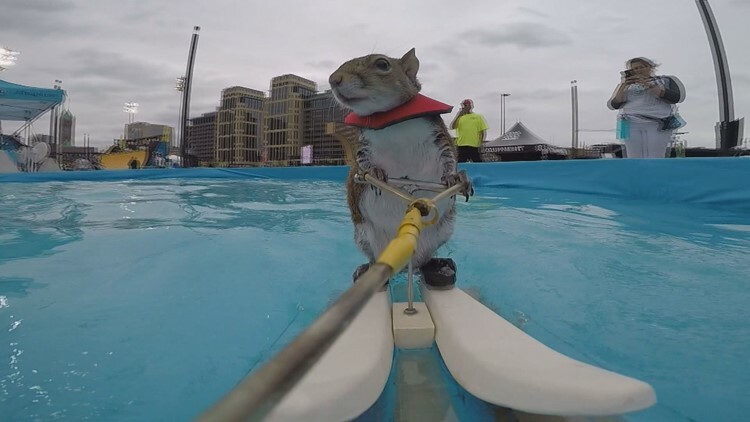 Twiggy the water skiing squirrel is retiring. If you can believe it, this act has been delighting audiences for 39 years. "Twiggy's" first public appearance was at a realtors' convention in Minneapolis. Now, after thousands of shows, they've decided to hang up the tiny water skis. Twiggy and her owner Lou Ann Best have both moved into a retirement community. Lou Ann says she is in talks with someone to buy her company and train a new squirrel. She is insistent, though, that the business continue to promote a message of water safety. 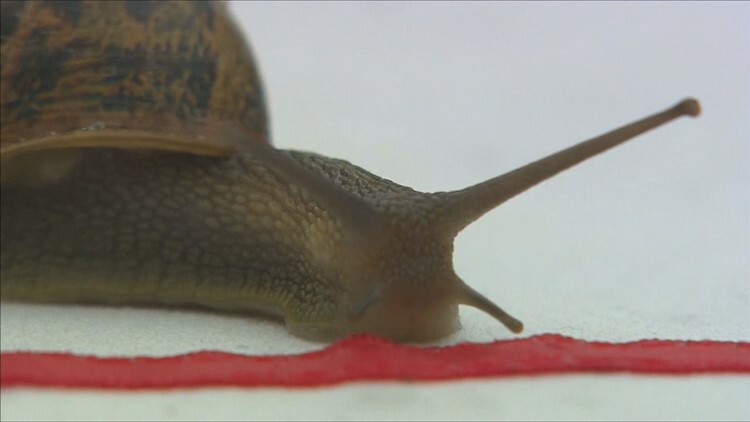 snail racing championship. It happened in England over the weekend. 150 contestants slugged it out. A snail named Hosta oozed his way to the finish line and got a new lease on life in the process. His owner says he's named Hosta because he was eating all the hostas in the garden. He said he told him the morning of the race if he didn't win, he'd squash him. That's one way to motivate the snail's force. Finally, it's what dreams are made of. This is little Gracelyn Griffen and what an entrance she made into the world. Her mom and dad were on the way to the hospital when they had to make a pit stop. Even though the restaurant was closed, employees of the Chick-fil-a in San Antonio, Texas let them in so mom, Falon, could use the restroom. Well, Little Gracelyn couldn't wait and she was born right there in the bathroom at Chick-fil-A. Everyone is fine after what was a pretty the harrowing birth. Here's the best part: Chick-fil-A gave Gracelyn a gift--Free Chick-fil-A--for LIFE and a guaranteed job when she turns 16.